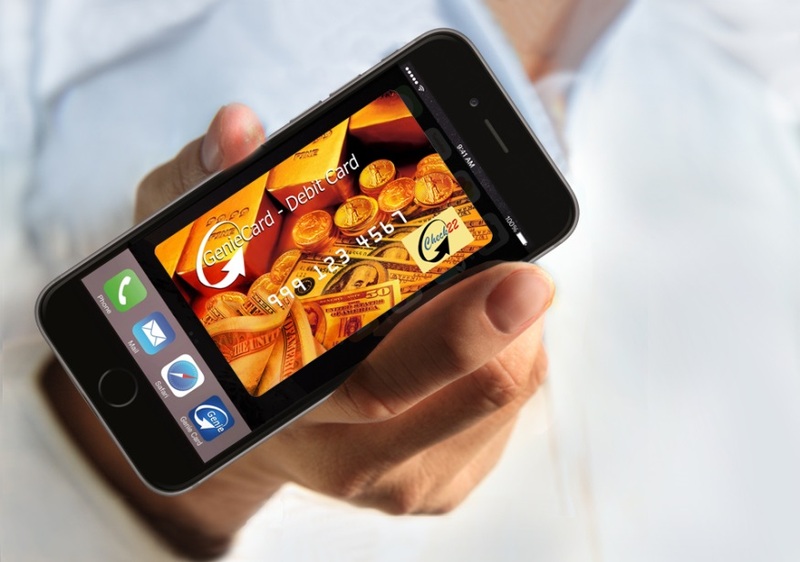 The GenieCard is simply the fastest and safest way to make payments in store, online, via mobile devices, or by phone - WITHOUT sharing your financial or personal information. The GenieCard combines the best of TWO worlds; the Genie Club, our closed loop member services, which utilizes the Genie CashBox; and Check22, the open loop service which lets members access their funds from any checking account, in any bank in the US. The GenieCard makes it both easy AND safe for unbanked merchants and their customers to do business WITHOUT using cash and WITHOUT sharing private financial information. Imagine a debit card, with complete privacy, convenience and security, designed specifically for unbanked merchants and their customers; a debit card which doesn't contain any of your personal information - not even your name - just your ten digit card number. To make a purchase, just present your card to the merchant. They'll enter your card number into their virtual point of sale system to start the transaction. In a few seconds you'll get a text message to confirm the payment, asking you for a YES or a NO answer. Say YES and you're done! Say NO (or don't answer) and the payment never happens. Payments online or by phone are similar. All you do is provide your card number, but the process is the same. If the balance in your CashBox is enough to cover your purchase, then it's processed automatically as a real-time, Peer-to-Peer payment. If your balance isn't enough for the purchase, then your payment is processed automatically as a debit to the checking account you provided in your original Genie CashBox application. You're not sharing checking account information with the merchant or anyone else when making a purchase. Your bank statement will display a cancelled Check22 representing your payment. The merchant never sees anything about your checking account. If a merchant you buy from is a member of the Genie Club, chances are that he or she can give you an envelope containing a non-activated GenieCard, along with all the instructions you need to activate your FREE debit card.